Being an International H.O.G. 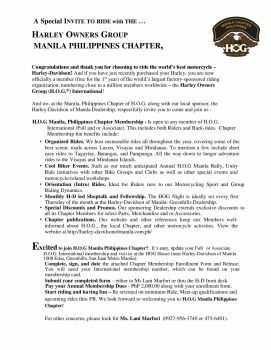 Member, offers access to a host of benefits and services including the quarterly H.O.G.® magazine, Chapter membership, the Touring Handbook, events and rallies, H.O.G. Assist emergency road side recovery services, discounts on a range of goods and services and much more.